What's Going On at Earnestine & Hazel's? Caitlin Chittom and Nate Barnes keeping it real at Earnestine & Hazel's. After owner Bud Chittom died Sept. 5, people wondered what was going to happen to the iconic restaurant/bar at 531 South Main - at the corner of South Main and G. E. Patterson. The restaurant was closed for 10 days, but it now is open. Bud left his entire estate, including a partnership in Beale & Second Inc., to his only heir - his daughter, Caitlin Chittom, 23. This includes Blues City Cafe, Beale Street Live (formerly Club 152), Jerry Lee Lewis’s Cafe & Honky Tonk, Beale Street General Store, Beale Sweets Sugar Shack, Handy Park concessions and commercial rental properties. Caitlin, who lives in Austin, says she’s “taking it day by day.” She’s been getting advice from friends, including Congressman Steve Cohen, restaurateur Kelly English, Miss Polly’s Soul City Cafe owner Ty Agee, and her mom, Angela Chittom-Merigian. She basically is leaving Earnestine & Hazel’s as Earnestine & Hazel’s. She’s not repainting, renovating, re-designing or changing light fixtures. Nothing is happening to that famous grill, where those savory “soul burger” hamburgers are cooked. And they still come to the table in a red plastic basket with a bag of potato chips. 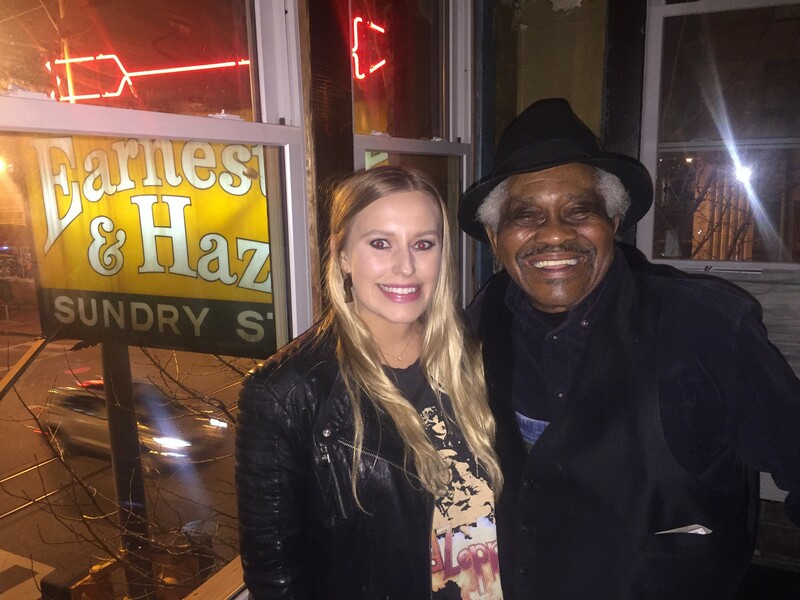 “Earnestine’s is such an integral part of Memphis history,” Caitlin says. “We embrace the ragged of Earnestine’s,” Chittom-Merigian says. The downstairs and upstairs still look the same. Same jukebox. Same 45 rpm records dot the wall above the bar. Same retro light fixtures still hang from the ceiling. Some familiar faces no longer work there, but Nate Barnes still bartends upstairs in Nate’s Bar. The same piano is there. And Floyd Foster continues to man the grill. Bud used to say, “If it ain’t broke, don’t fix it,” Chittom-Merigian says. But some things do get broken, Caitlin says. For instance, they had to fix a leak in the ceiling. There was some “delayed maintenance” at Earnestine’s. As far as changes, draft beer from local breweries now is on tap at E & H.
Customers now can order a mixed drink at the bar instead of having someone bring it from the upstairs bar or the old The 5 Spot restaurant, which now is a party rental facility. The smoking regulation is changed; smoking only is allowed upstairs. Albert King Jr. is the new house band. Phone chargers now are installed at each booth so customers won’t have to have someone behind the bar charge their cell phones. The building which houses Earnestine & Hazel’s was built in 1906. During its lifetime it was a church, a brothel, and a pharmacy. 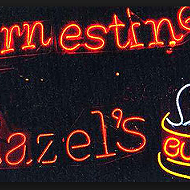 Earnestine Mitchell and Hazel Jones opened the original Earnestine & Hazel’s. Bud and Delmer George bought E & H in 1993. Bud later bought out George. Bud always was excited about Earnestine & Hazel’s. “He’d call me in the middle of the night and talk about ideas for Earnestine’s,” Caitlin says. Earnestine & Hazel’s still has “the same magic,” Chittom-Merigian says. “I know that he’d be proud of the way Earnestine & Hazel’s is today and my commitment to preserve it,” Caitlin says.